There are a couple photos taken in humanities short lifetime that will span the test of time. Robert Capa’s black and white of a soldier trudging through the water on D-Day. The first picture of earth taken from the moon. Yet the one that all gamers from the past two or three decades will never forget involves a gentleman duct taped to the ceiling at a LAN Party. 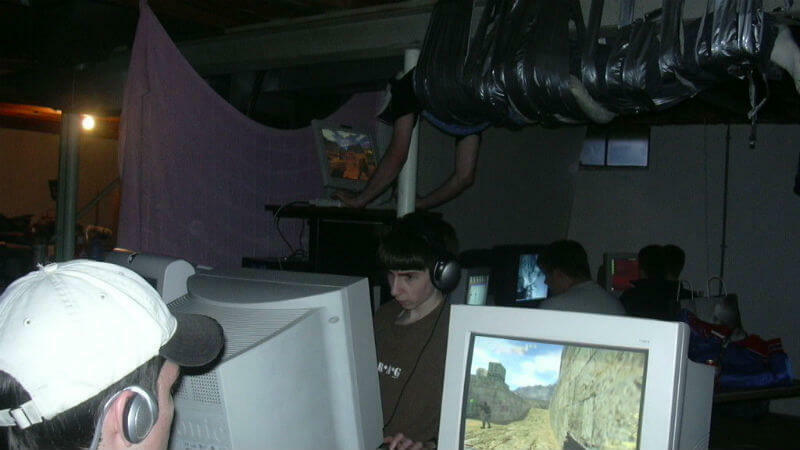 It’s been 15 years since the infamous image appeared on the web, yet many who have seen the image of the lanky gamer duct taped to the ceiling, while his arms stretched out to play on his Dell computer, don’t have any context of the situation. While the internet and gaming were taking off in 2002, it wasn’t as widespread as it was today. Forums and blog post were tight nit, and while content could still leak outside of them, finding a source wasn’t as easy as it is nowadays. Thanks to Kotaku though, context on the image has finally been given. After a myriad of interviews to sort out the fakes of the internet claiming to actually have been there, the site managed to track down a large portion of members of the LAN party for an interview. 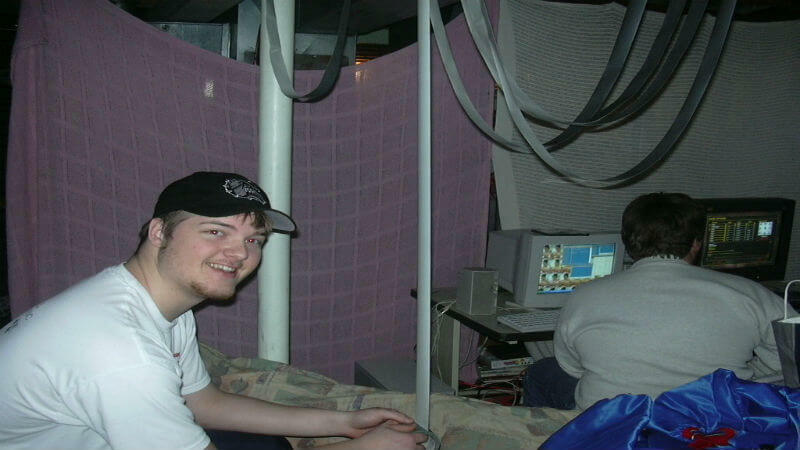 The picture originates from the basement of a group of friends in Mason, Michigan, who liked to build computers and organize LAN parties. Standing for local area network (LAN), players would connect computers or consoles using a router or switch, primarily for the purpose of playing multiplayer video games together. The concept is pretty irrelevant in the current day and age, as every gamer has wifi and the internet, and many games don’t support local multiplayer. The group would hang out at various house, and sometimes a tire ware house, dragging their computers with them to play games like Command & Conquer, both Renegade and Red Alert 2, Battlefield 1942, and Starcraft custom games. 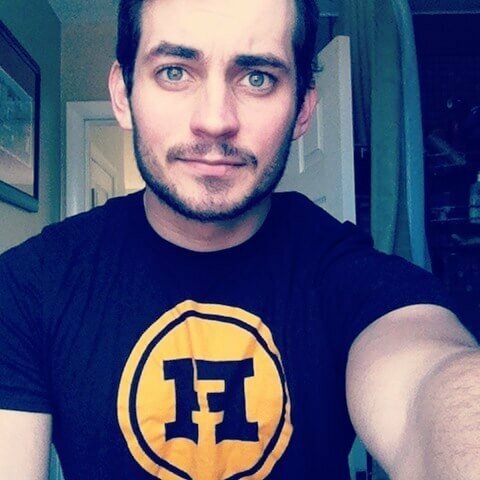 Their main game of choice, and the one in the photo, is a game that still remains popular today – in the form of CS: GO – Counter Strike. But while that explains why the group was together in the picture, why was Drew Purvis taped to the ceiling? Was it an issue of space? An extreme, one man game of the floor is lava? No. Like all great ideas, it started with boredom and simple thought. A simple answer, to a simple, weird question. The teens immediately went and gathered the necessary supplies to myth-bust their idea, buying a boat load of duct tape using friend’s employee discount. 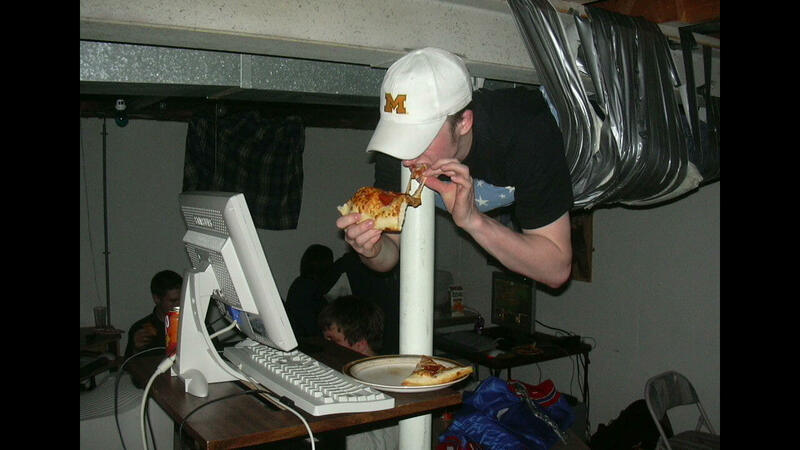 Then, they had the tallest LAN party attendee, Brian, hold the subject, Drew, aloft while the rest taped him up. It didn’t take long before the subject of their science experience began to feel uncomfortable. After about 10 minutes, the tape began digging into Drew’s sides, so they cut him down and revised their plan. The second attempted added pillows to the duct tape cocoon. Once up there, the idea to stack tables so that he could still play in the LAN party occurred. Purvis lasted about two hours in the contraption, all the while playing Counter-Strike, before it got too hot. There is now word on how the setup affected his K/D unfortunately. While some people from the group still remain close friends, the interview revealed that they all have families and lives now, and don’t get together for LAN parties and duct taped fun. The group did say that any time the photo comes up in the comment sections of message boards like Reddit or IMGUR, it will serve as a mini reunion for the group.